Deep dish with flat centre caps , 7.5" width to allow LEGAL tyre fitments now - 195/45/15 looks perfect on these. 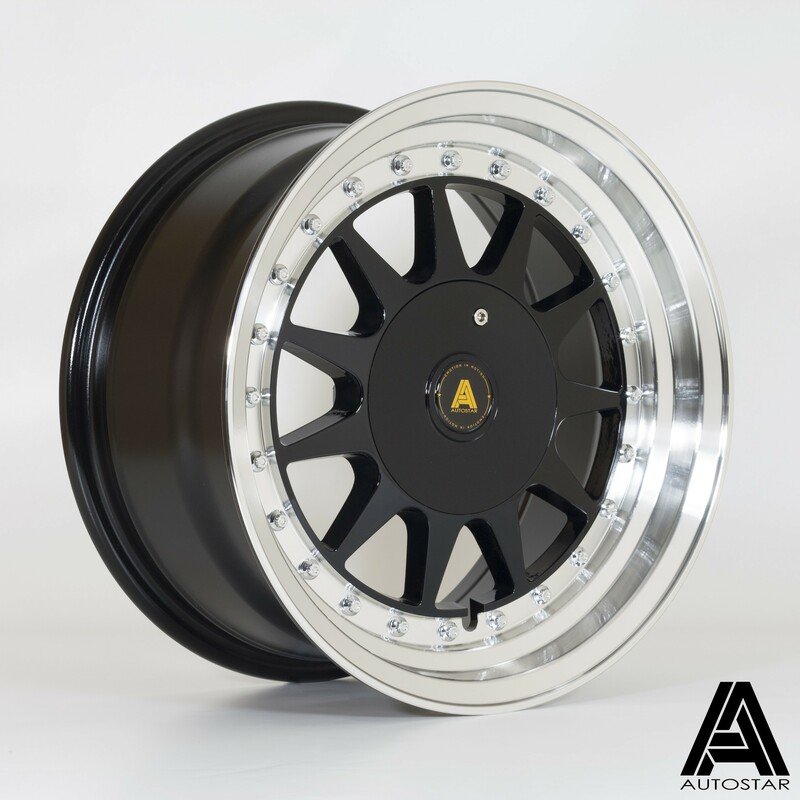 Combining 15" x 7.5" sizing, with a nice useable offset for ease of fitment, the Autostar Raider is a great choice. Fantastic gloss black finish, with machined lip and deep dish, the Raider is stunning. As with all the Autostar range, produced in a TUV approved factory to VIA specifications - you can be assured of the quality.